A new documentary takes an inside look at the relationship between golfer and caddie. Centuries old and enjoyed by millions of people worldwide, golf is seen by many as more than a sport. Yet, not much is known about the man or woman carrying the bag behind the golfer. A new documentary, Loopers: The Caddie’s Long Walk, explores the deep, personal bond that a golfer and a caddie develop through their time together. The film is narrated by actor and former caddie Billy Murray, who starred in the 1980 comedy, Caddyshack, which was written by his brother, Brian Doyle-Murray. 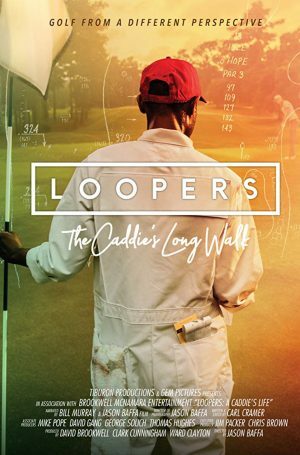 Loopers is a must-watch for documentary film lovers, avid golfers and anyone interested in the history of sports. The storyline reaches back more than a century to explore how caddies came to be in Scotland and Ireland and then migrated to the United States and went from a disrespected craft into a well-respected occupation. 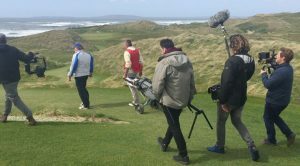 The film includes interviews with World Golf Hall of Famers Sir Nick Faldo, Tom Watson, Ben Crenshaw, Fuzzy Zoeller, Lee Trevino and Curtis Strange. Professional caddies who participated include Steve Williams (Tiger Woods’ former caddie), Carl Jackson (Crenshaw), Fanny Sunesson (Faldo), Pete Bender (Greg Norman and others), Michael Greller (Jordan Spieth) and Jariah “Jerry” Beard (Zoeller at the 1979 Masters). Loopers was filmed at some of the most iconic locations in golf such as Augusta National Golf Club, Pebble Beach (California) Golf Links, The Old Course at St. Andrews, Scotland and numerous other vaunted courses in Scotland and Ireland. A trailer from the documentary can be seen on our website’s Home page or on Columbia County Magazine’s Facebook page. 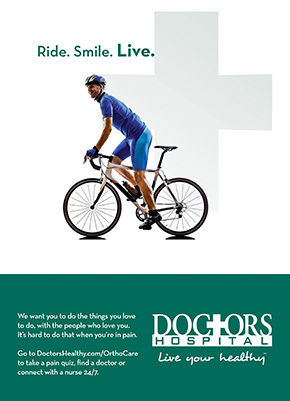 Published on March 27, 2019 in Guide to The Masters and tagged front by Kristy Johnson.